What Smart Money Thinks about AvalonBay Communities Inc (AVB)? The SEC requires hedge funds and wealthy investors with over a certain portfolio size to file a report that shows their positions at the end of every quarter. 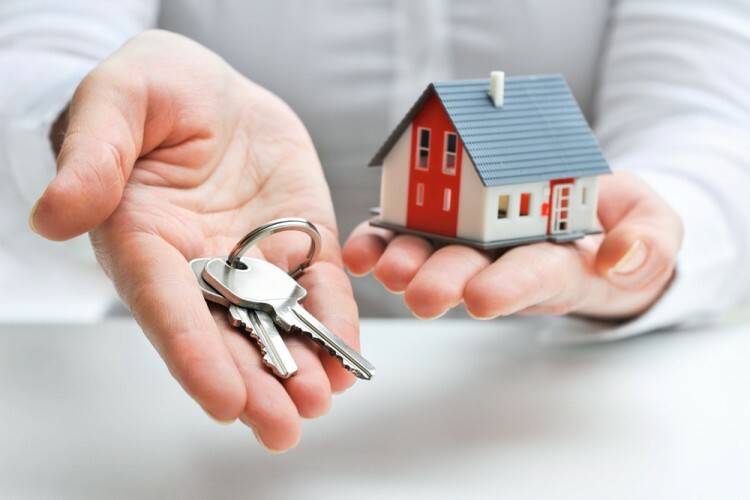 Even though it isn’t the intention, these filings level the playing field for ordinary investors. The latest round of 13F filings discloses the funds’ positions on September 30. We at Insider Monkey have compiled an extensive database of more than 700 of those successful funds and prominent investors’ filings. In this article, we analyze how these successful funds and prominent investors traded AvalonBay Communities Inc (NYSE:AVB) based on those filings. So, is AvalonBay Communities Inc (NYSE:AVB) a healthy stock for your portfolio? It looks like the best stock pickers are getting less optimistic. Between July and September, the number of funds from the Insider Monkey database that held shares of AVB declined by three to 19. At the end of this article we will also compare AVB to other stocks including Pioneer Natural Resources (NYSE:PXD), CBS Corporation (NYSE:CBS), and Ventas, Inc. (NYSE:VTR) to get a better sense of its popularity. With all of this in mind, we’re going to take a peek at the latest action regarding AvalonBay Communities Inc (NYSE:AVB). How are hedge funds trading AvalonBay Communities Inc (NYSE:AVB)? At the end of September, 16 of the hedge funds tracked by Insider Monkey were long AvalonBay Communities, down by 16% from the end of the second quarter. 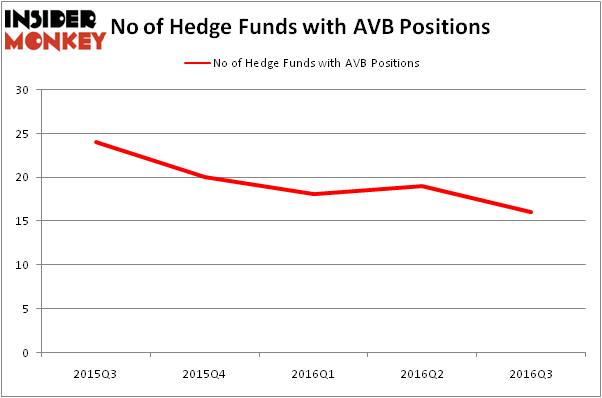 On the other hand, there were a total of 20 hedge funds with a bullish position in AVB at the beginning of this year. So, let’s find out which hedge funds were among the top holders of the stock and which hedge funds were making big moves. According to publicly available hedge fund and institutional investor holdings data compiled by Insider Monkey, Jeffrey Furber’s AEW Capital Management has the number one position in AvalonBay Communities Inc (NYSE:AVB), worth close to $263.6 million, accounting for 5.5% of its total 13F portfolio. Coming in second is Jim Simons’ Renaissance Technologies, which holds a $128.1 million position; 0.2% of its 13F portfolio is allocated to the company. Some other hedge funds and institutional investors with similar optimism contain Cliff Asness’s AQR Capital Management, Phill Gross and Robert Atchinson’s Adage Capital Management, and David Harding’s Winton Capital Management. We should note that none of these hedge funds are among our list of the 100 best performing hedge funds which is based on the performance of their 13F long positions in non-microcap stocks.